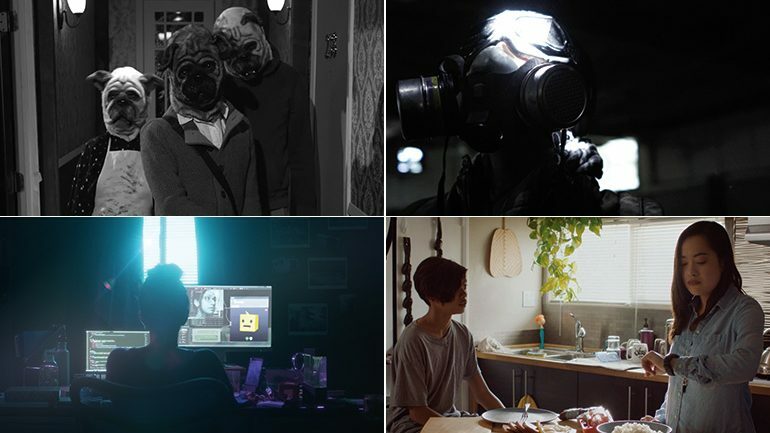 This block of four Sci-Fi genre narrative shorts explores a variety of not-so-distant futures dictated by technology and varying degrees of dystopia. After strange new neighbors move into his building, fear of the unknown makes a man start to suspect the worst of them. Several years after America has placed a “kill-all” order on anyone suspected of dealing in the drug trade, a photojournalist discovers the corrupt nature of the world she lives in.